The staff was so great about getting Michael excited about getting braces. He says that Dr. V and his staff, “are awesome!” I agree! 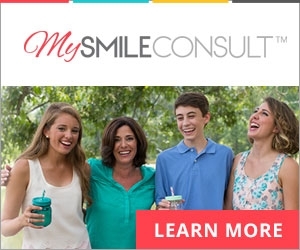 My experience’s at Corinth Orthodontics has always been great! Everyone there is nice and always makes me feel welcome! We love Dr. V!!! If you need braces, you should go see him! My son’s experience today was great! He was a little nervous at first, but quickly felt at ease by the kindness of the dental assistant. She was so sweet. I just got referred here by my dentist and all the people their are really nice I’m looking forward to going back. A healthy bite and beautiful smile can improve your confidence and lifestyle. Dr. Fernando Vignolo and his team continually strive to give you extraordinary orthodontic care. Damon Clear braces allow you faster treatment time and more comfort than traditional braces. Our office also offers Invisalign clear aligners that don't impact your lifestyle. We offer no-interest payment plans and are in-network with most major insurances. Dr. V now has two convenient offices to serve you. You can visit us at our Corinth location, now taking new patients from Corinth, Denton, Lewisville and more. Our second location is in Trophy Club! Now taking new patients from Trophy Club, Roanoke, Argyle, Keller and more. Call today to schedule your initial FREE consult at Corinth, 940-321-3919, or Trophy Club, 817-491-3919.